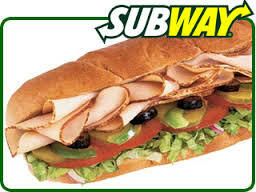 Students are able to have a Subway lunch every Friday. The lunch consists of a healthy roll with a selections of fillings on offer. Children can also choose to have a drink (water or juice), a piece of fruit and strawberry crush-up / cookie. $6.00 is the price for each lunch with 50 cents of each lunch going towards the school. It is a great way to raise some money for the school. Order envelopes are available from the classroom or the office. Orders need to be at school by recess on THURSDAY. (Envelopes are collected from Subway). Unfortunately, NO LATE ORDERS can be accepted so please ensure that your child’s order is in on time. Please do not ring Subway as they cannot process your order. All orders are handled through the school.